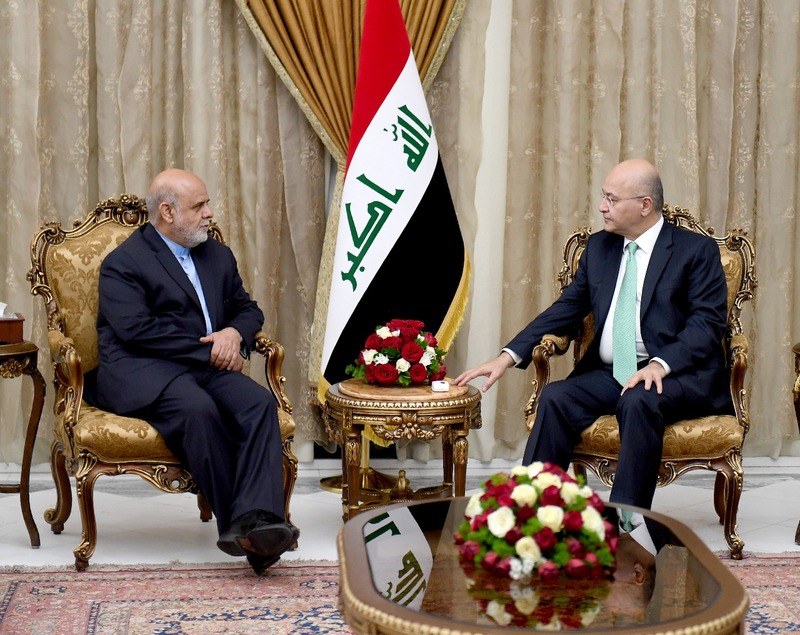 President Barham Salih received Mr. Iraj Masjedi, Ambassador of the Islamic Republic of Iran to Iraq, at the Presidential Office on Thursday, April 11, 2019. 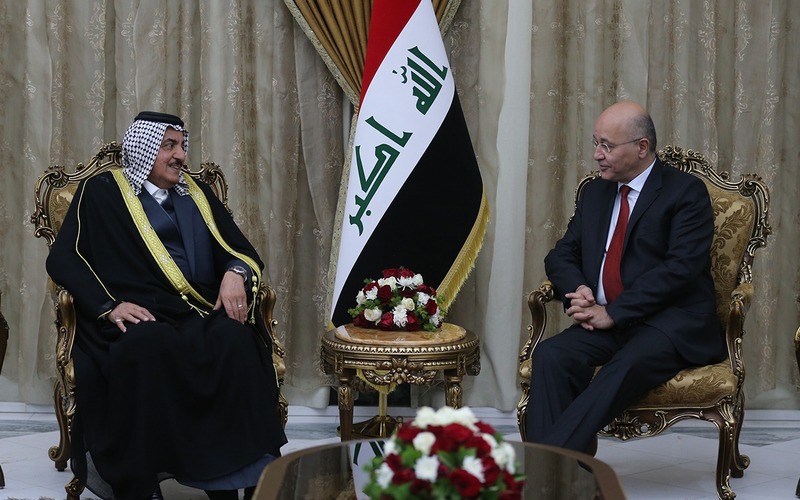 His Excellency highlighted the importance Iraq attaches to enhancing its bilateral relations with Iran, based on social and cultural ties as well as on common security and economic interests. The President lauded the Iranian support for Iraqi forces in their fight against ISIS terrorism. His Excellency indicated Iraq’s keenness to be an arena for convergence of interests of the countries and peoples of the region. 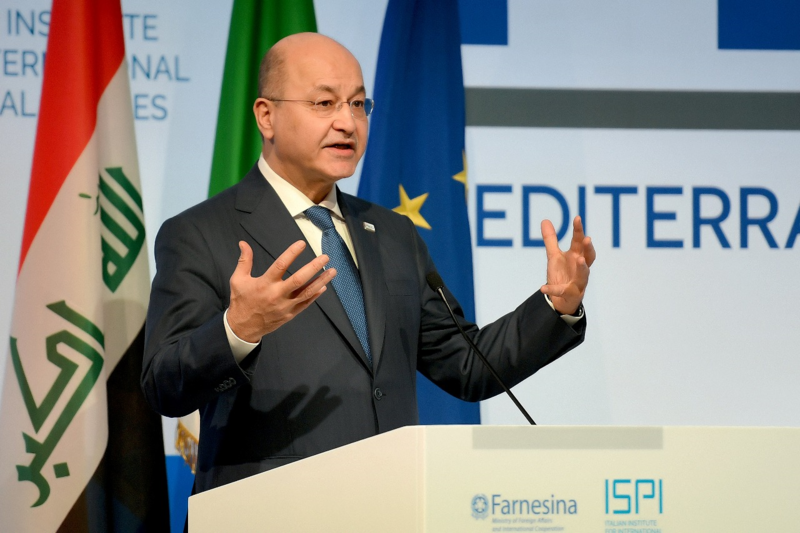 President Salih stressed that Iraq would not accept to be a starting point for any action that would harm its neighbors or strain the regional situation. The President also emphasized the need to mitigate tension in the region, emphasize commonalities when combating extremism and terrorism and ensure a prosperous future for our peoples. 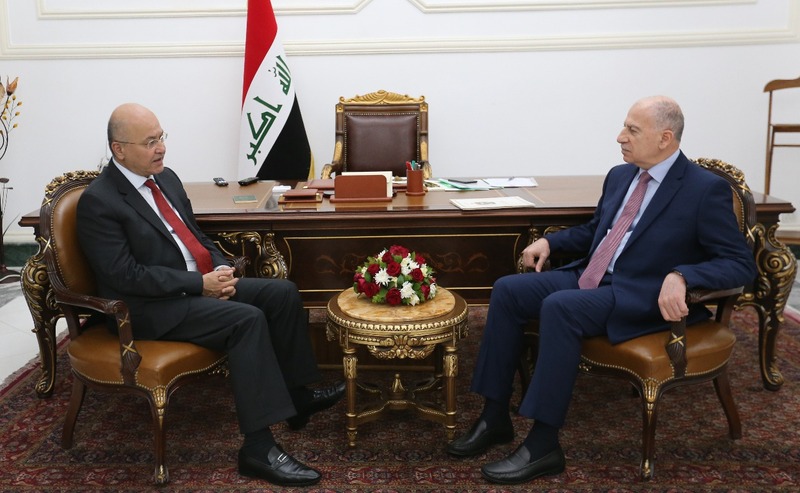 For his part, Ambassador Masjedi asserted that his country stand by Iraq's side in all fields and Iran’s keenness to promote joint cooperation between the two countries.